This Irish rugby shirt features Guinness branding on the chest along with the Guinness toucan on each sleeve. This black Guinness rugby jersey is a traditional design with concealed rubber safety buttons that features embroidered branding. 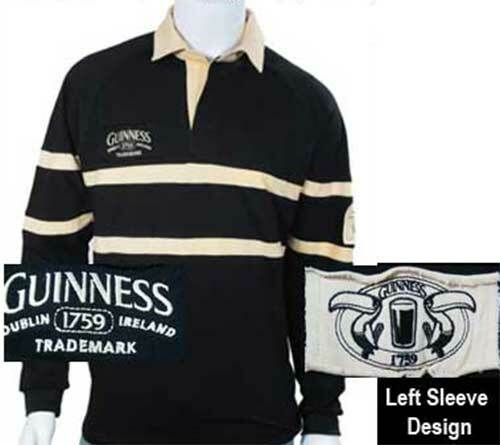 The 100% cotton Guinness rugby shirt is a long sleeve design with cream accenting and it is available from The Irish Gift House in sizes medium through 3XL (sorry, size large and XL is now sold out).